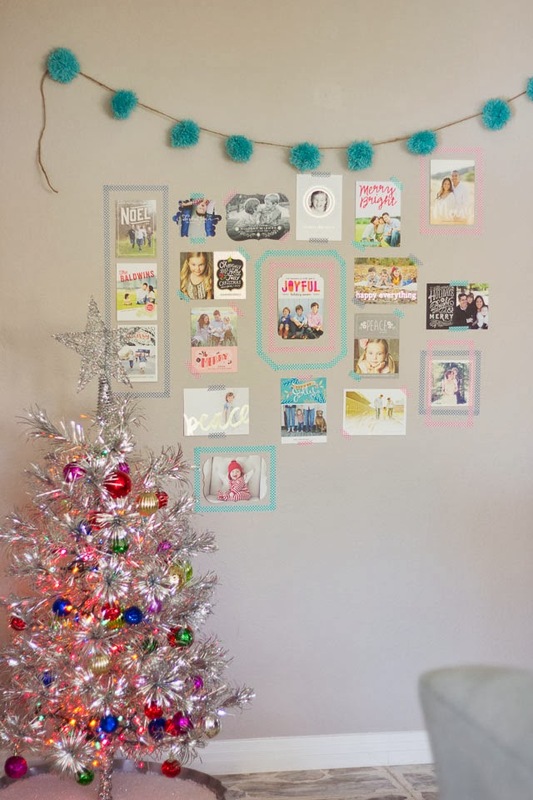 These days, holiday cards are often frame-worthy, so why not make a fun washi tape gallery wall with the photo cards you receive from family and friends this season! 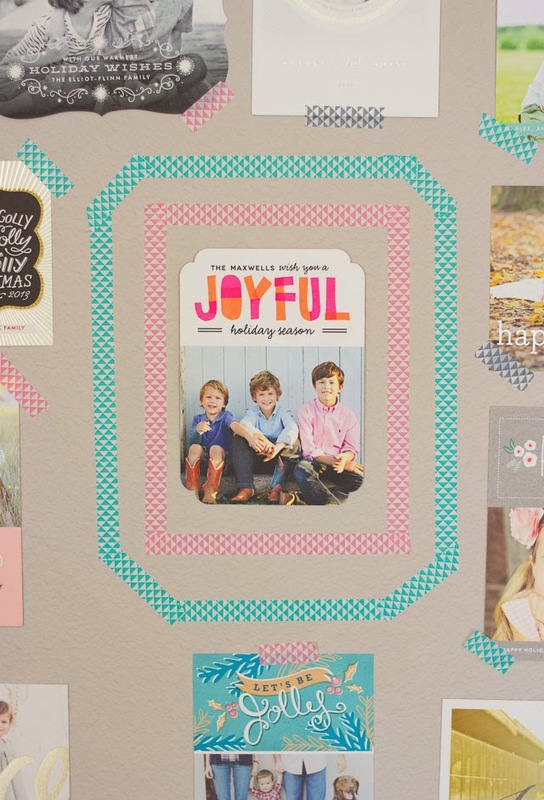 Minted sent me a pack of their gorgeous holiday card designs for this fun project. I am a huge fan of Minted – their cards are unmatched for their quality and range of beautiful designs. I love all the options they give you to customize the card, from changing the shape of the border, to adding a pretty pattern to the back side, to enclosing them in glittery envelope liners. Don’t miss this opportunity to try out their gorgeous cards! 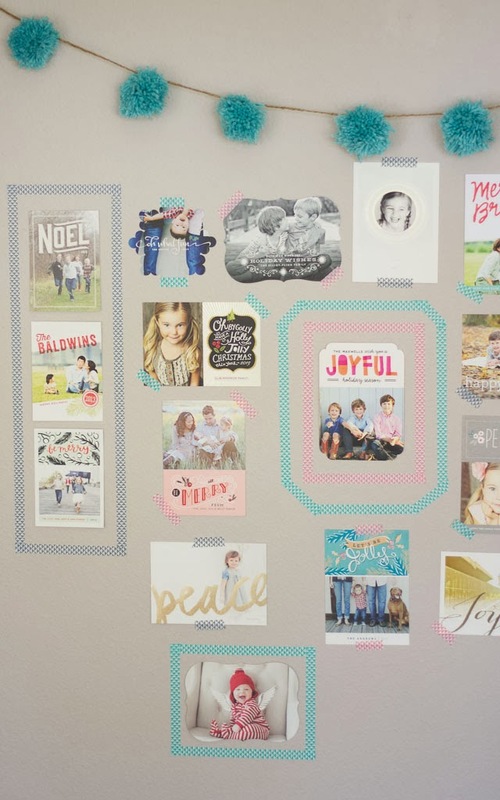 This gallery wall is a fun way to show off your cards and can continue to grow and evolve as you get more in the mail. To start my gallery wall, I used a level to make sure the first card was straight and then just eyeballed the placement for the rest of the cards I added around it. It doesn’t have to be perfect – it is meant to be fun and temporary! 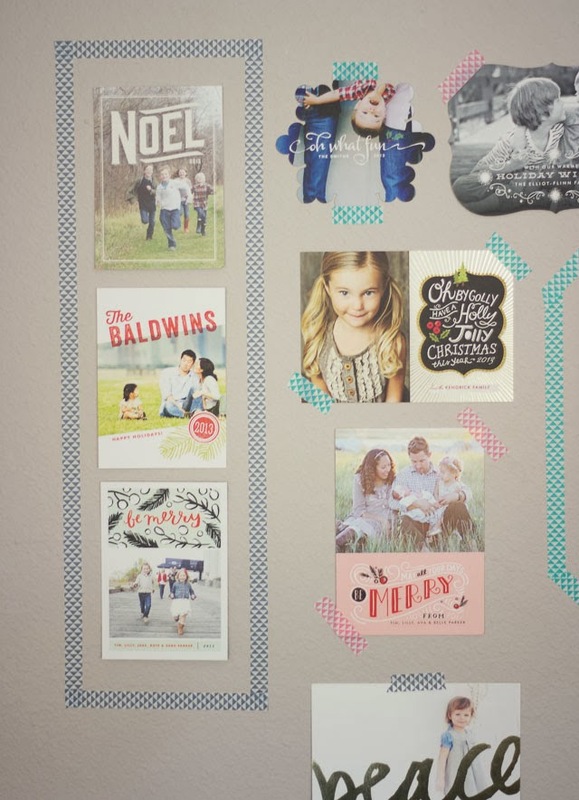 I stuck most of my cards on the wall with a couple strips of washi tape – it is nice and gentle on your walls. However, I would also recommend adding a loop of painters or masking tape to the back of each card, as washi tape is more decorative than it is good at securing things in place. 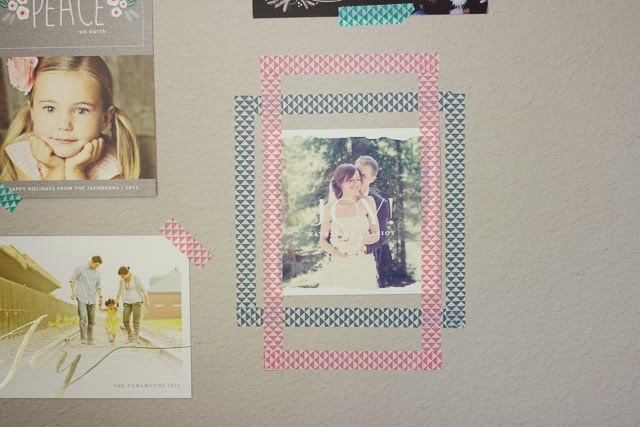 You can get as creative as you want by incorporating a few “frames” into your gallery wall! 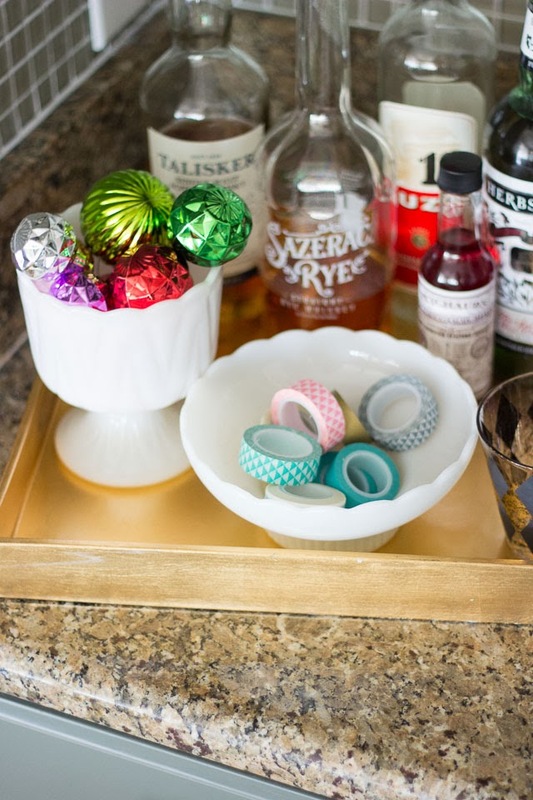 I made room on our bar tray adjacent to the gallery wall for a little bowl of washi tape so I can be ready when new cards come in the mail!